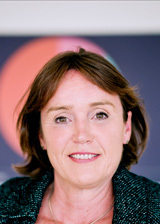 Maggie O’Kane is chair of the European Press Prize board. She is executive director of the Global Media Campaign to End Female Genital Mutilation, set up by The Guardian in 2014. It has since expanded to become an independent charity – working with number of international media partners. O’Kane is an award winning former foreign correspondent and Multimedia Investigations Editor at the Guardian. She is founder of Guardian Films, the Guardian’s Emmy award winning documentary strand and has recently left the Guardian to establish the Global Media Campaign to End Female Genital Mutilation, expanding the media FGM campaign launched by the Guardian in 2014. The Global Media Campaign is an international media network that supports activists and journalists to accelerate the end of Female Genital Mutilation by using both local radio, TV and all available social media platforms to help a new generation of media activists to end FGM within a generation. Her previous awards include British Journalist of the Year, Foreign Correspondent of the Year and Amnesty International Journalists of the Year.